Older than both Stockholm and St. Petersburg, this cosmopolitan capital was once revered across Europe as the “Paris of the North”. Already the de facto Baltic business capital, Riga is firmly on the tourist map, with visitor attractions and a proliferation of renovated hotels, bars, and cafés. Best-kept secret: Try sushi in Riga. Small hotel directly in the historical center of the city. The name means “Red” in Latvian. It’s a modern restaurant with an expressive atmosphere and non-traditional interior. Means “Nobody Writes to the Colonel” or simply “Colonel”. Favorite attraction: Sigulda, Sveices iela 13. Remarkable “adrenaline” experience that you can try in the winter or summer on the bobsled with little wheels. This track is even used for world championships. Best-kept secret: The art nouveau quarter is definitely different looking from the other districts, and it belongs absolutely to this Baltic capital. – good shop with a solid selection. Advice: While having business meetings in Latvia, forget the old Czech premise that you are in Russia. Everyone speaks his national language, which is Latvian. The majority of negotiations are held in English. If you prefer Russian, I suggest to open the meeting with several English phrases and then gradually move to Russian. Latvians of course remember Russian, but considering their history they prefer other foreign languages. 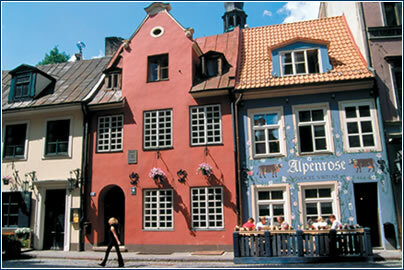 Best-kept secret: Bergs Bazaar – a complex of historical buildings and shops. Electricity: 220 volts AC, 50 Hz; round two-pin plugs are standard. www.worldroom.com/pages/cg_riga/riga_main.phtml – a good, not too in-depth overview of history, shopping, events, accommodation, etc. · In general, Riga is moving away from how things used to be done in the old Soviet Union days, and firmly embracing the western European example of how business is conducted. Dress code is relatively formal, with suit and tie expected for business meetings, although new technology-based industries have got behind the trend of dressing down in more casual gear. Business hours are Monday to Friday 0900-1700. · Handshakes are the normal way to start any meeting and gifts are appreciated. In a nation with a high per capita rate of alcohol consumption, most evening meetings and dinners, and indeed many lunches, are peppered with drinks. 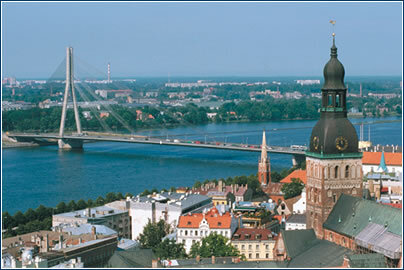 Riga is the economic heart of the Latvia, and home to all major domestic companies and many international players, including KPMG, PricewaterhouseCoopers and Radisson. The main Latvian industries were traditionally wood processing, textiles and agriculture, but since 1991, the service sector and tourism, in particular, have become increasingly important. · Since gaining independence in 1991, the economy has been transformed beyond recognition. 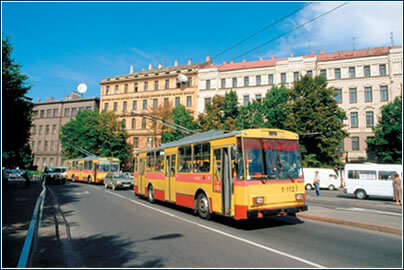 The main business district is the New Town, however, many companies are also located at Riga’s port, with an increasing number of industrial companies moving out to sites on the city outskirts.